Warm up inside and out with our toasty tipples this December. 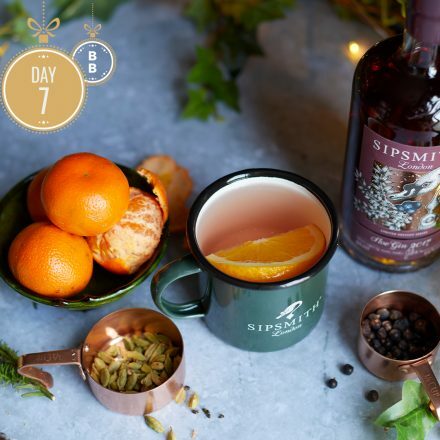 We’ve teamed up with our friends at Sipsmith to bring you some festive takes on the G&T. Warm your cockles with our classic Hot Sipsmith G&T or opt for our Hot Gin & Gingerbread – warm and aromatic, with the perfect hint of spice, it’s a superb alternative to mulled wine. Looking for something a little different? Then sample our Hot Mulled Sloe Gin, think of it as a boozy apple juice for adults finished with a stick of cinnamon. Sign up to our newsletter to receive our latest news, offers and events as well as those from our favourite partner brands. If you want to keep up whilst on the go, like us on Facebook or follow us on Twitter or Instagram.